Second-generation butcher and proud local Bill Denne is the owner of Value Valley Meats in North Richmond, and he’s been slicing and dicing for 42 years. Since the family business was established in 1973, Bill and the team have been passionate about sourcing local products, including from Bill’s own farm at Mendooran near Dubbo. 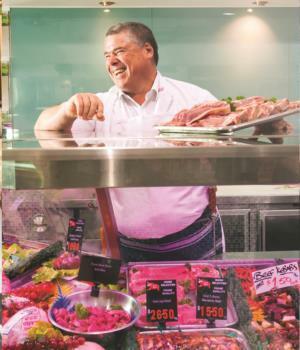 Throughout his beefy career, Bill has loved serving the North Richmond community, likening coming to work as a social event — a chance for him to connect with customers, provide advice and deliver some of the best quality meat in the region. Bill’s favourite cut of meat is a Cattleman’s steak and says locals have a taste for the top end cuts, including scotch fillet, rump and T-bone. As we head into winter, Bill has a simple recipe for cooking the perfect silverside. He recommends bringing a pot of water to the boil, placing the silverside in the pot and boiling covered for 40-45 minutes per kilo. To check it’s cooked through, insert a carving fork into the silverside, and if it slides back off the fork nicely without having to shake it, it’s ready to go. Bill the butcher carves the best cuts. For all your meat needs, visit Bill the friendly butcher at Value Valley Meats, North Richmond Village Centre on Bells Line of Road, or call ahead to order on (02) 4571 1544. 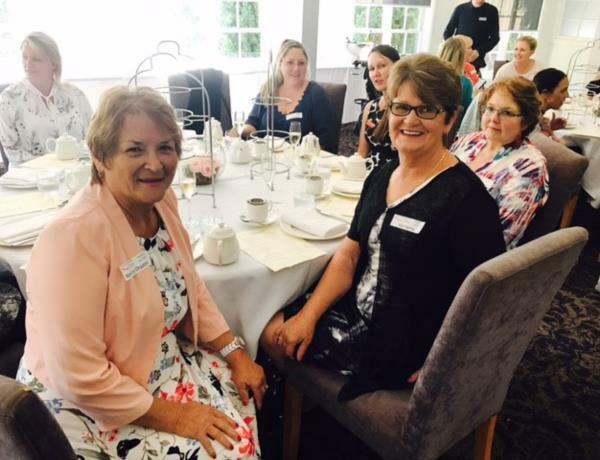 The mums of Redbank had a ‘tea-riffic’ time on Mother’s Day with a high tea at The Sebel Resort & Spa in the Hawkesbury Valley. We hosted 15 Redbank mothers including three new mums and their bubs. The ladies enjoyed a selection of more than 20 teas, as well as a selection of sandwiches, scones, cakes and champagne. 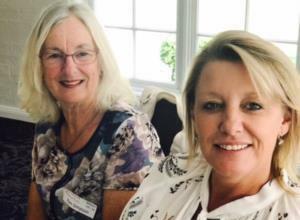 The mums said the high tea was fantastic fun and felt like a gathering of old friends. Thanks for being such great mums! …a very important date! In support of the Cancer Council’s Biggest Morning Tea, the North Richmond Community Centre will host a Mad Hatter’s Tea Party on Thursday 1 June from 10am. 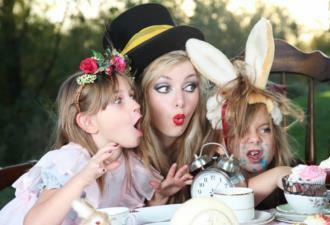 Be inspired by Alice in Wonderland as you tumble down the rabbit hole and recall childhood tales along the way. There will be a prize for the strangest costume or hat and guests are asked to bring plenty of gold coins for donations, raffle tickets and games. A delicious morning tea will be provided, so come along and support a great cause and have fun at the same time. To RSVP email nrcc@northrichmond.org.au or phone (02) 4571 1909 by cob Tuesday 30 May. Starting this weekend, you can pick your own mandarins at Ford’s Farm in Laughtondale. 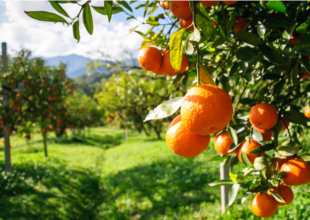 Established more than 50 years ago by the Ford family, some of the original Emperor Mandarin trees still produce fruit. Pick as many mandarins as you like for just $2 per kilo. For more information, visit www.fordsfarm.com.au to plan your visit. Londonderry locals Helen and Reginald Garske are Yeoman’s newest residents, and they’re excited to join the Redbank family – for more than one reason. After their daughter purchased a lot at the Mountain View development, the couple knew Redbank was the place for their next home. Currently living on two acres, Helen and Reginald are looking forward to downsizing and being surrounded by land they don’t have to maintain themselves. Once moved in, Helen said the pair plan to make good use of the surrounding walkways, bike paths and parks as part of their new low key and stress free life. Yeoman’s soon-to-be residents, Helen and Reginald Garske. Winter marks the start of citrus season — lemons, limes, mandarins, cumquats, grapefruit and oranges are at their sweetest and juiciest this time of year, and they’re plentiful at local markets in and around North Richmond. It’s best to choose fruit that feel firm to the touch with no soft spots or bruises, and bright colour is often a good indicator of taste. 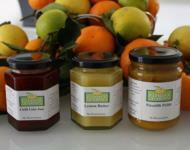 In terms of storage, citrus fruits usually keep at room temperature for three to five days. Storing them in your fridge crisper may extend their freshness for a few more days, but can lessen the flavour overall. You’ll find the freshest citrus at the following nearby farmers markets and produce suppliers, perfect for your next tart, Thai curry or hot toddy. Following the success of the first Redbank birdwatch walk, the next walk will take place on Sunday 4 June from 9am, again led by Redbank’s resident photographer and bird guru Tom Walsh. The walk will start at the dam end of Peel Park by the playground and participants are asked to bring along water, sunscreen, binoculars and a camera. To register your interest, email community@nrjv.com.au. The Redbank birdwatching group on the lookout for local bird species. You may have noticed the GJ Gardner Variety Freedom House starting to take shape. We are proud of this project, with funds raised from the auction going towards helping Australian children who are sick, disadvantaged or have special needs. For your chance to win a $50 voucher for Value Valley Meats in Richmond, simply snap and share a photo you feel celebrates life at Redbank or in the Hawkesbury region. Either use the hashtag #SnappedatRedbank or send your photo to community@nrjv.com.au. Great news — operational consent from the Hawkesbury City Council was given to McDonald Jones Homes on Wednesday, paving the way for the Construction Certificate. The countdown is on, so if you have any questions regarding your new homes please contact Elif Kaplan via email at ekaplan@mjhmulti.com.au or on 02 8808 7467. 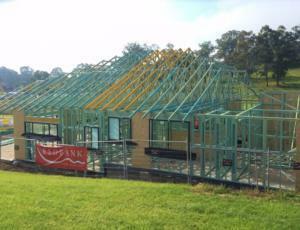 The Redbank team are very excited to see your builder start construction. Stage 1 and 2 purchasers looking to proceed with construction, please note Redbank have a handy resource on the website called ‘Building at Redbank’. This tab has all the information you and your builder need to start construction of your new home. It has been excellent to see some of your designs coming through the Design Review Panel this past week. For Stage 3 buyers, there are no changes from the last newsletter. The preferred option continues to go through Sydney Water approval, Concept Design, Detailed Design, Delivery and Commissioning. We continue to work with Sydney Water on a program timeline and will notify all concerned parties once it’s received. We can assure those purchasers who are patiently waiting that we are working with Sydney Water to try and expedite this process. There are 16 new blocks only days away from being released within Yeomans, stage 4. For details please contact the sales office and they will be happy to assist. We expect to lodge our Construction Certificate ‘on schedule’ to a private certifier by Friday next week with civil works still on track to commence mid-year. Once the Construction Certificate is approved Redbank will upload detailed lot-specific plans on the ‘Building at Redbank’ tab on the website. At this stage, everything is running to schedule as we move towards a staged delivery across the precinct. Please note that stage 1 and 2 are expected to register in the fourth quarter this year with stages 3 and 4 and anticipated early to mid-2018. Please keep in mind all timelines are subject to weather during construction and sign-off by authorities. Belmont continues to run to schedule. Civil construction is set to commence mid-year. The Construction Certificate has been approved and JK Williams has been appointed to undertake construction. More than 200 trees for open space and street areas are being potted in the lead up to construction. Only one lot remains for sale in the whole precinct. The draft plan for parks and reserves at Redbank is now closed for public comment. Council will review the feedback and make a determination. We will advise the outcome in due course.